Although Marina Benjamin does not specifically mention that red-letter year 2001, what a swizz it turned out to be, really. Some of us will never recover from the let-down; will never quite forgive Stanley Kubrick and Arthur C. Clarke for raising too high a level of expectation about mankind’s unstoppable expansion into space. Were we fools to think that, 30 years after the Apollo landings, Pan-Am would be flying routinely to the Moon? Three decades seemed more than enough time to get that one sorted. I always wanted to be one of those space-shuttle flight attendants in the powder-blue jumpsuits and the funny marshmallow-shaped hats. I would have volunteered to sew Velcro on the soles of my soft white flatties, and everything. 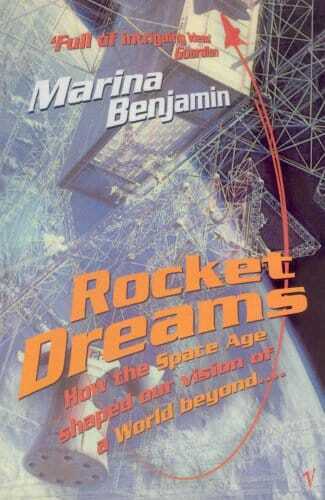 But if the bathos of 2001 is not one of the actual subjects of Rocket Dreams, Benjamin draws on an identical sense of bewildered disappointment. She remembers that something very strange happened in the 1960s and early 1970s. To simplify: one minute we were living in the Space Age, the next it was all over. One minute we were aspiring astronauts, practising our conversational Venusian, the next we were pathetically content to get broadband. What happened? Why didn’t we keep boldly going into space? What happened to those ideas of living in colonies? How does mankind cope with the terrible sense of failure; of slipping off the ladder of cosmic enlightenment after climbing just one rung? The sad fact is that, in terms of real space travel, we got as far as the garden gate and that was it. But what Benjamin interestingly argues in Rocket Dreams is that our Buzz Lightyear impulse (“To infinity, and beyond!”) has not been extinguished; it has simply been channelled into other outlets which arguably suit our true ambivalence better. If you reflect how dreams of the Space Age — which were all, let’s face it, less about exploration than about colonising — have left us with a capsule mentality, the phenomenon of the shopping mall is explained. No, really. It is a mundane version of a space station. Survivors of the Space Age want environments that are safe, self-contained, and remote from anyone who disagrees with us. Which is why virtual chatrooms, too, are such a phenomenal success. As you can see, this is a book rich in ideas, with a scope that at times seems scarily infinite. Personally I prefer the early chapters on the actual Space Race, the Ufology movement, and the colony instinct. And I admire the way Benjamin refuses to foreground popular culture, so that she really does write about Roswell rather than about Stephen Spielberg or The X-Files. She did lose me, I admit, in the last sections of the book, which are about staying at home and contacting outer space through one’s computer, where she adopts an evangelical tone and assumes too much technical interest. She makes an important point in passing, though: that digital broadcasting will mean a radio black-out from Earth, after all these years sending waves and waves of it into space. Bad news for the aliens who were looking forward to all those Hancock repeats on BBC7. To be honest, Rocket Dreams is a book that leaves you sort-of jelly-legged — like watching an IMAX movie through the wrong end of a telescope. One is left with a vertiginous sense of the Earth as this speck in the Universe, and an understanding of what this knowledge has done to the human psyche — mainly, made it curl up in a foetal position and watch cartoons. The popularising scientist Carl Sagan is often invoked in these pages: he was a man who loved to pick up a grain of sand on a beach and make humbling comparisons with it. His idea was that “if we let the universe fill us with awe, we would be both aggrandized by it and, at the same time, calmly reconciled to our limitations.” But he may have been wrong. The size of space may have just scared and belittled us and sent us scuttling into virtual worlds where we have the illusion of control. How much of this is me, incidentally, and how much is Benjamin is jolly hard to say. This is the sort of book that catches you in its tracking-beam, transports you heaven-wards, packs a load of sophisticated data into your primitive brain, and then deposits you on a lonely road in Arizona. No wonder I’m not feeling very well. At one point, describing the mental world of UFO freaks, Benjamin describes their backwards, conspiracy-theory logic as “affirming the consequent” (nice to know there’s a name for it). But the world of this book is topsy-turvy too: with proofs and theories intermingled, conclusions and premises juggled in a dazzling kind of way. It’s all very stimulating. The truth is out there, definitely. But mainly I just remember this bright light in the sky.